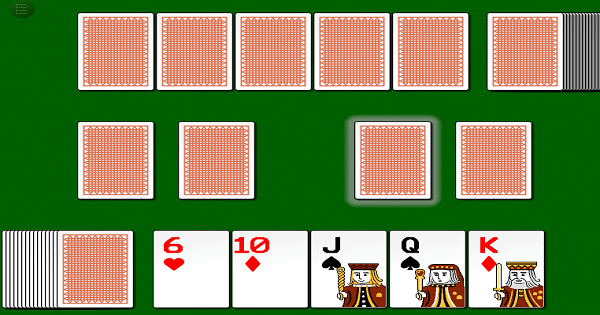 Classic card games come across every now and then and refreshen the game cache` of the HTML5 platform. Speed follows the trend and adds to the catalog of cool card games. Click the highlighted cards to start, and then add your cards to the piles by placing a card one above or one below the top card of either pile (suit of the cards does not matter). There are no turns, place the cards as fast as you can! First player to use all their cards wins!